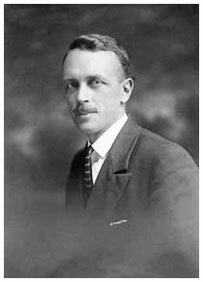 Angus McGill Mowat was a Canadian librarian, born November 19, 1892 in Trenton, Ontario. He made significant contributions to library systems in Saskatoon and Ontario from 1920 through 1960. Mowat served as the chief librarian for several different Canadian library systems and acted as the Chief Librarian of Public Libraries in Windsor, Ontario from 1930 to 1932. He is the father of well-known Canadian literary figure Farley Mowat. Mowat graduated from the Trenton High School Cadet Corps, after which he attended Queen’s University in Kingston, Ontario, receiving a Bachelor of Arts degree in 1931. During World War I, Mowat served in the Hastings and Prince Edward Regiment. Mowat sustained a permanent injury in his right arm as a result of the war. During his career as a librarian, Mowat acted as the chief librarian of public libraries throughout Canada, including Trenton, Ontario (1922 to 1928), Belleville, Ontario (1928 to 1930), Windsor, Ontario (1930 to 1932), and Saskatoon, Saskatchewan (1932 to 1937). He was appointed Inspector of Public Libraries in Ontario in 1937 and made significant efforts to improve libraries in terms of service, staff training, collection development, and space. Mowat also held titles as Director of Public Libraries from 1948 to 1959 and Director of Provincial Library Service in 1959 prior to retiring in 1960. Mowat’s influence on libraries is evidenced by the Angus Mowat Award of Excellence, which is offered in recognition of commitment to excellence in library services. The Windsor Public Library won this award in 2003 for its Kaysandra and Christopher Paul Curtis Children’s Learning Centre. In addition to an extensive publication history of academic papers about library services, Mowat published two works of fiction (Then I’ll Look Up (1938) and Carrying Place (1944)), both of which were inspired by his travels through the Bay of Quinte. Mowat passed away September 21, 1977 in Northport, Ontario. Angus Mowat and Ontario’s Rural Libraries, 1937 to 40. (2014). Libraries Today Blog. Corbett, B. (1999, Jul 03). “Kingston Mowats left their mark on Ontario.” Kingston Whig – Standard. Cummings, Stephen Foster. (1986). “Angus Mcgill Mowat And The Development Of Ontario Public Libraries, 1920-1960“.Digitized Theses. 1527. Mowat, Angus. (1944). Carrying Place. Toronto, ON: S. J. Reginald Saunder.